How much do you know about Arizona? With a population of 6.5 million, Arizona is a big state with big opportunities. The state capital is Phoenix and some of its largest cities include Tucson, Glendale, Mesa and Scottsdale. All of these cities present opportunities for the prospective resident who can partake in any of the major industries in the state which include manufacturing everything from food products to microchips, mining, and tourism. 37 million tourists arrive in Arizona every year and a lot of them are attracted to stay for good. Whether you’re a current resident who’s planning to move to a new county, or a newcomer who wants to stay for good, there are plenty of things that you need to prepare before your relocation. The first thing you need to do is to find a good living space that suits your preferences and your budget. Afterwards, comes the part that most people dread- preparing for the actual move. While moving can be challenging and tedious, all it takes is a bit of preparation and organization. You need to start by booking a good moving company, months in advance. Once you’ve done this, you need to start packing your belongings (at least two months) before your move. You can do this by yourself or ask the movers to do it for you. Then you should prepare your finances, basic utilities and of course your job. Also, make sure to notify your friends and family about the move and your new address so they’ll know how to contact you. This will be useful for forwarding any letters or packages that come for you at your old address. Now that you’ve created a plan for your Arizona move, the question is where to find the best movers. This is where Top Mover Quotes comes in. 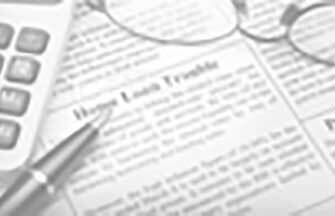 TMQ is your best source for moving quotes online. We’re affiliated with the most reputable movers in the industry and we can give you the quotes that you need in a matter of minutes. You don’t even have to worry about the credibility of the companies because we pre-screen all of them before adding them to our vast database. You can be sure that each quote is from a well accredited and properly licensed moving company. 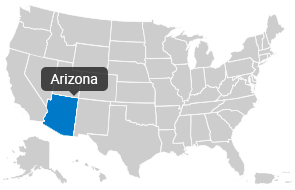 With Top Mover Quotes, your Arizona relocation is just a few clicks away. Established in 1968 Ace Relocation Systems, Inc., a San Diego-based companyfounded in 1968, has offices in Austin, Washington DC,Chicago, Long Beach, Orlando, San Jose, Phoenix and Seattle.Ace Relocation Systems is a founding shareholder of Atlas Van Lines. The founder, Reg Lammers, held a seat on the board of directors for Atlas Van Lines from 1994 -2007. Established in 1991 First Class Moving & Storage is a Phoenix, Arizona moving company that is family owned and operated. Our family has been proudly providing quality movers to Phoenix and all other Valley cities for the last 18 years. Meet the Business Owner: James R.
Established in 1987 We have over 20 years experience in the household goods industry. We have been serving the Mohave County area since 1987. We are a proud member of the Kingman Chamber of Commerce and The American Moving and Storage Association. Our interstate representation is with Atlas Van Lines and we are proud to be a part of the Atlas World Group family. Meet the Business Owner: Janice and Monty A. We take pride in ensuring our customers receive the best cusomer service and confidence that their household goods are safe with our company. Since we are family owned and operated, your family and your belngings are also important to us. Established in 2009 Welcome to Move & Save, Inc. If you are dreading getting countless estimates for your move, you have reached the right place! At Move & Save, Inc. our business is founded on simplicity and a no hassle move. We offer a top-notch moving service that will amaze you with how easy it is to plan your move. We are dedicated to customer service and will absolutely guarantee you the easiest and least complicated move possible. Our pricing is all up front on our website and there are no hidden charges. Thank you and we sincerely hope that you will let us surprise you with our excellent service. Meet the Business Owner: Ryan W.
We are the premier Spa and Hot Tub Movers in the Phoenix Metro Valley. We specialize in getting your spa moved quickly and safely without the danger and hassle of doing it yourself. Whether you need your tub moved across the yard or across town, we can help. Or if you have an old spa that needs to be hauled away, we can do that too. Call us today for a free quote at 602-334-0077. We can also help you with chemicals or a new cover. If you need a spa repaired or you need electrical work for your spa done, we can point you in the right direction. When it comes to moving you spa and doing the job right, the choice is clear - AZ Clear Choice Spa Movers. I worked in the home construction industry for several years in the valley and Arizona is my home. During the years I spent as a Superintendent for one of the Valley's largest home builders, I realized the value and importance of great service no matter what customers you serve.I have taken that philosophy and applied it to AZ Clear Choice Spa Movers. Whether you need a spa moved across town or just to a new place in your yard, you will not find anyone who can do it better for any price!